Hey there! 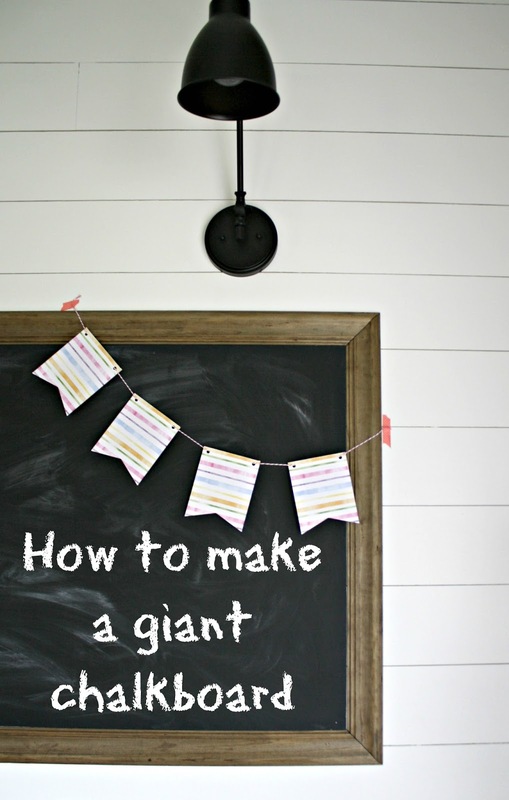 I'm still in beast mode as I work on finishing up the loft/craft room/office makeover. I'm determined to get it done by the end of the month and I think I'll make it! I've always known what I wanted to put up there. 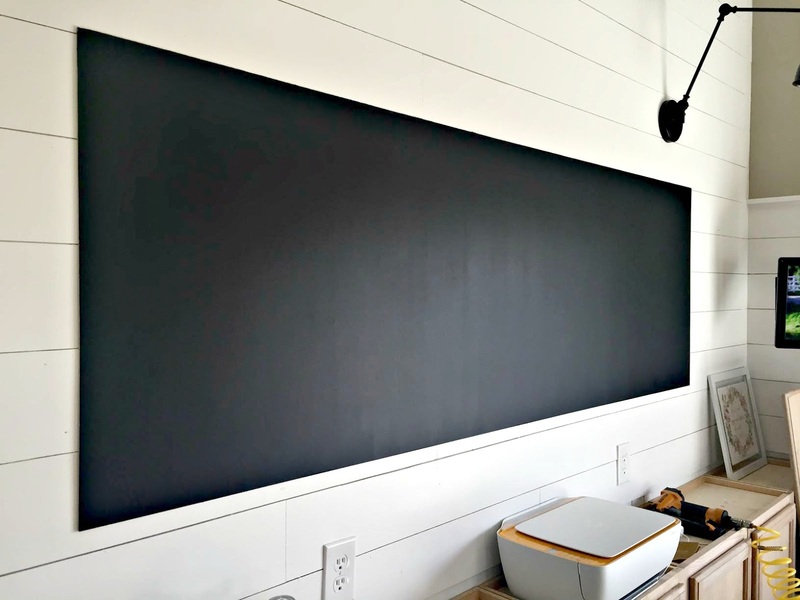 A massive chalkboard. I knew it would be a fun place for organization but also would look great against the white background. This was a fairly inexpensive project for the size and I'm loving how it turned out. 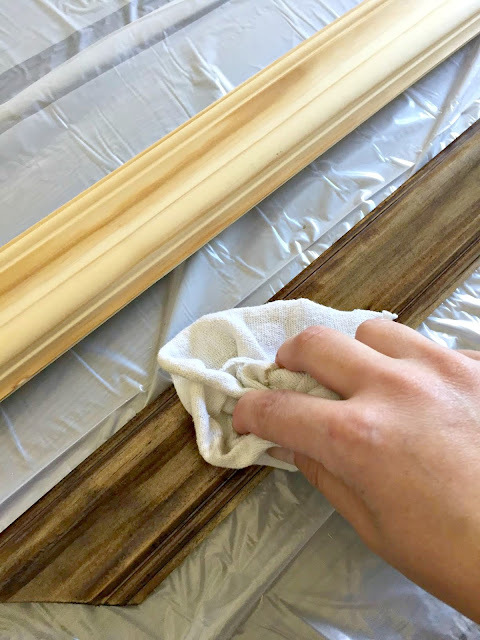 I joined up with Minwax as I do occasionally to share how I use their stains on this project as well. The first thing you'll need to do is get a SMOOTH board. This is important, obviously, as you'll be writing on it. :) You can spend $50 on some nice smooth stuff but I didn't want to spend that much, so I kept looking. 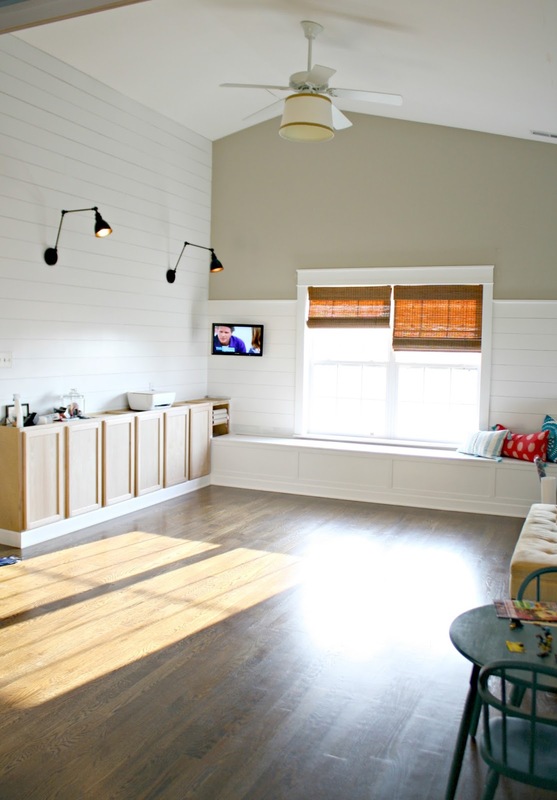 You know I love the luan for the DIY shiplap look I've added in here, but it's not smooth enough. I loved it right away! 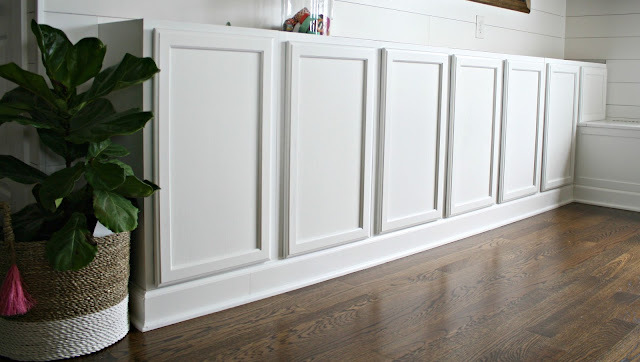 It was the perfect contrast against the planked walls and I love it with the sconces! Here's a tip that some don't realize -- you really need to "season" a chalkboard before using it. This will make it easier to erase the chalk down the road. 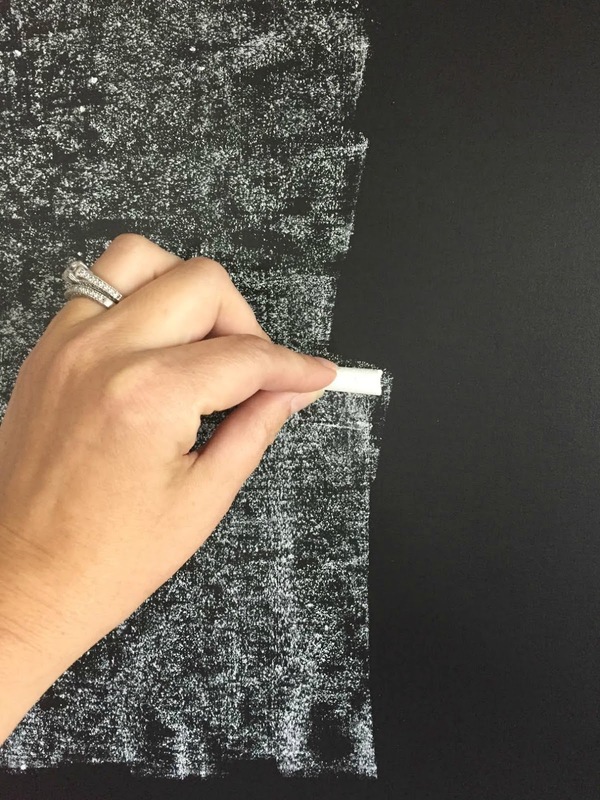 I haven't always done this and the chalk still wipes away with a wet rag, but if you are using a real eraser especially, I always suggest doing this. 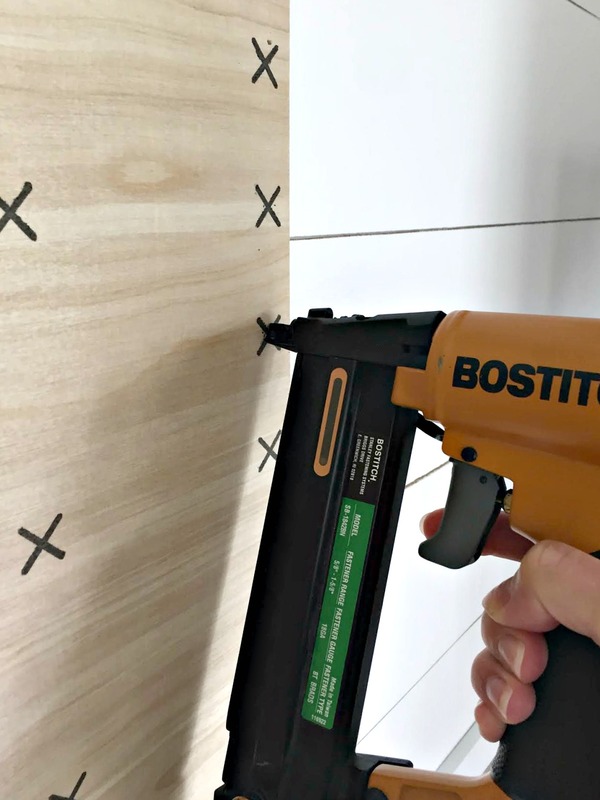 I can't express how much better your staining projects will turn out if you take the extra few minutes to use this. I used to be too impatient every time and some wood would turn out crazy blotchy. You just wipe it on with a foam brush and then let it dry. You can stain almost immediately. 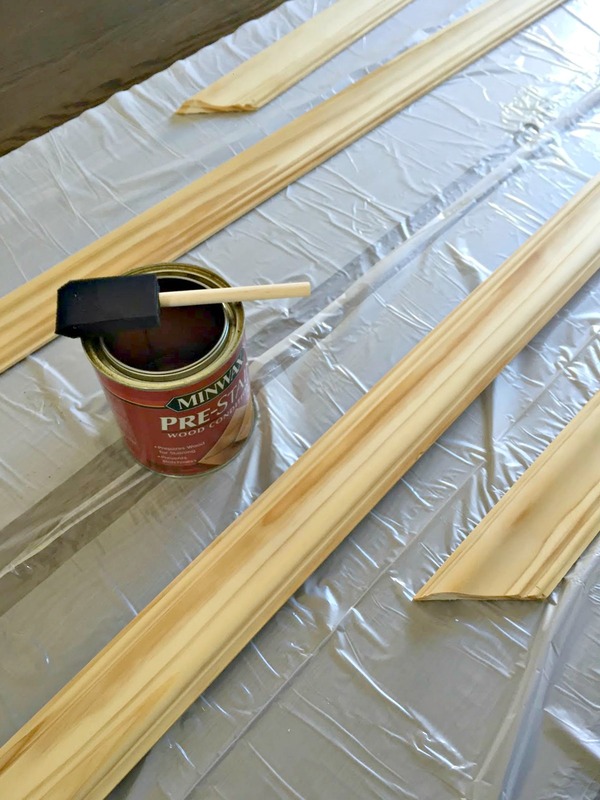 Be sure when staining to not let any part of it dry -- so don't stop one part and then start up again later. You need to keep what is called a "wet edge" while staining. With smaller projects like this it's not hard to finish up, but if you are tackling something large, be sure you have time to focus on it. The more you wipe the more it will even out. If it's still not right you can add more stain and do it all again. The whole space is very white right now (which I'm actually quite liking) BUT there will be plenty of color coming in with art, pillows and accessories. I picked up some bright knobs for the cabinets last night but I have to see them on before I decide on those. This post is sponsored by Minwax but all opinions and experiences are my own. I only work with brands I know and trust. 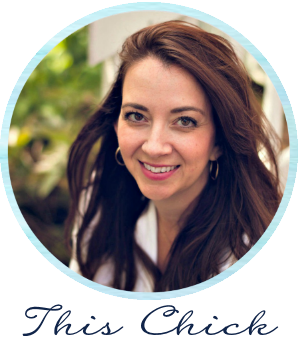 See my policy and disclosure information here. LOVE this project! It's not only affordable and practical, but gorgeous too! The entire space is coming together so nicely. 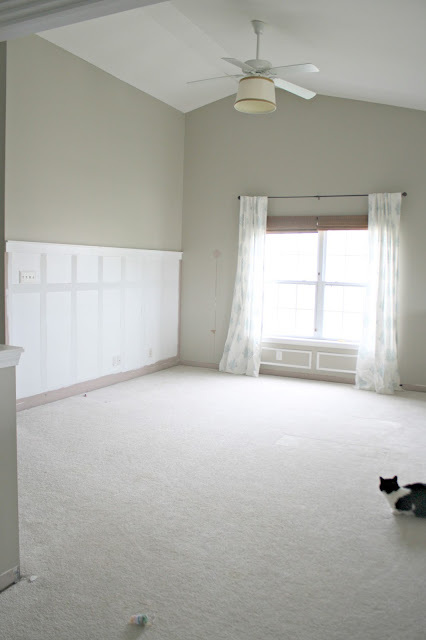 Hi Sarah - This room looks absolutely perfect! I am curious - are you going to change out the ceiling fan or keep it as is? We have a large break fire place and an open concept first floor so the back of the brick fireplace is in our kitchen. I have been searching for a chalkboard to hang on that brick. We have been in this house for 20 months and I still can't one. I think I need to make one! 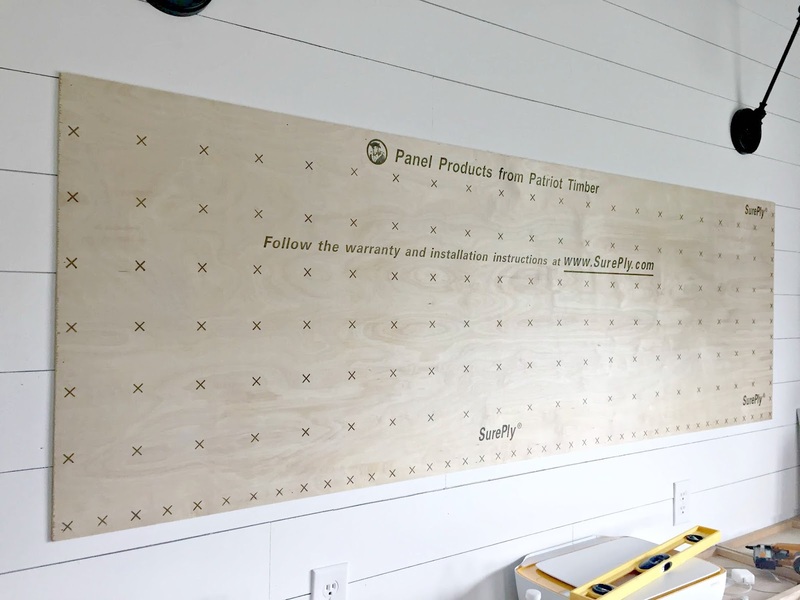 I am looking for a way to build a wall shelf/table that goes around an L shape perimeter of our craft room with storage underneath. I can't figure it out yet. The cabinets that you have, do you think that a table could be created over top of them with enough room for a stool/chair? I want it to be wide enough to fit a sewing machine. I want to divide it up so we have sections for my 5 year old, 9 year old with her sewing machine and myself. Yes, I'll be sharing how I did the desk when I reveal the room shortly. I brought a countertop out from the middle of the cabinets and it works great! That looks amazing, Sarah! 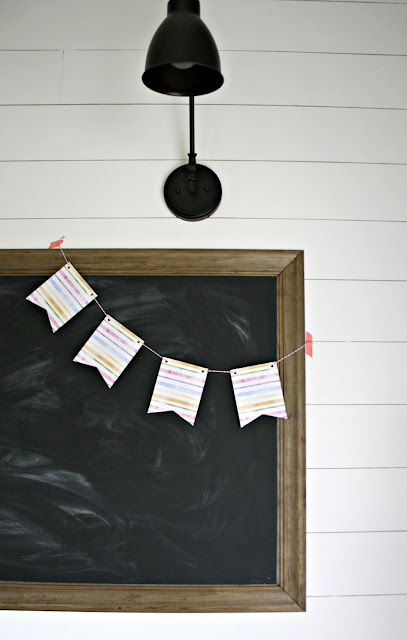 DIY chalkboards are the way to go - stores charge an arm & a leg for them but they are such an easy project. I made one with a cheap picture frame and it turned out great. With my version you are of course limited to the size, yours is great because you can go completely custom with the size! This looks amazing, Sarah! I have been wanting to put up a chalkboard in our basement playroom and your steps look so easy. Definitely pinning this one! Love the dramatic chalkboard! I've been trying to come up with a way to do a magnetic chalk board for pinning stuff up and also writing notes, lists, etc in our home office (for two grown adults!). 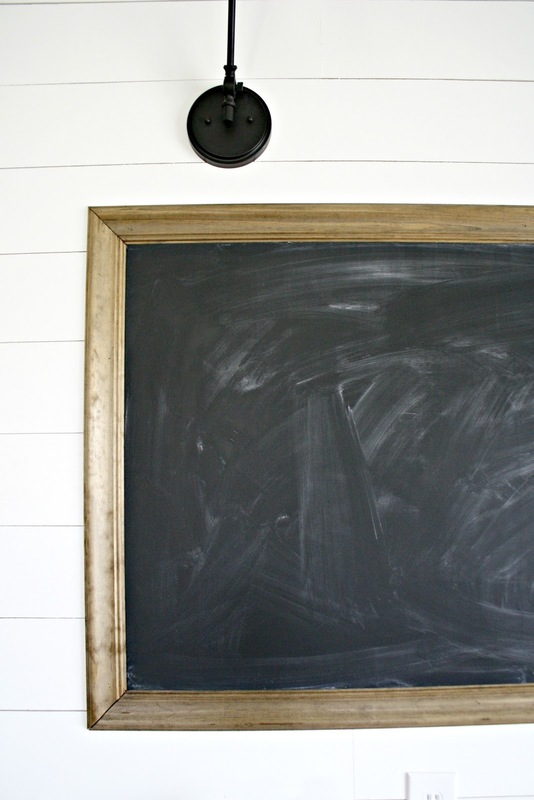 Have you ever seen a metallic chalkboard paint? And LOVE dark walnut. It's all over the place in my house! I used magnetic paint and then painted the chalkboard paint over it. 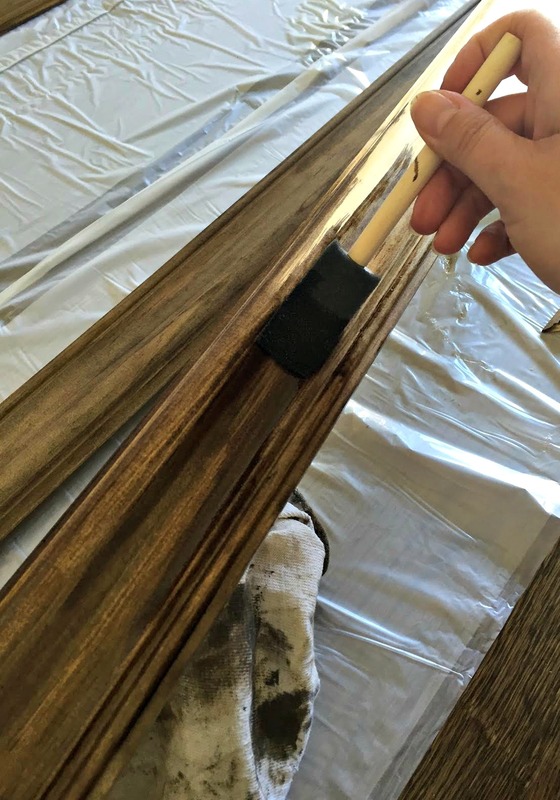 You gave to use between 7-8 coats of the magnetic paint to work really well in my experience. This looks amazing! 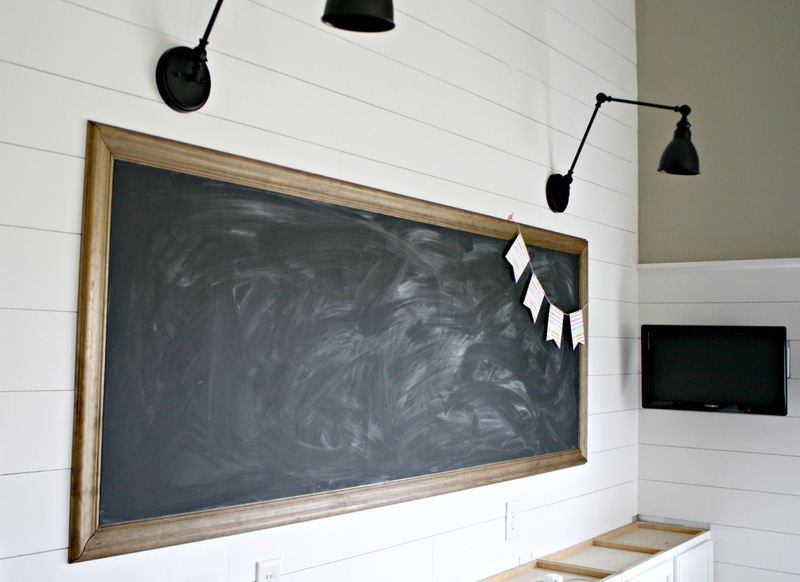 I love how the light fixtures look over the chalkboard. Can't wait to see what you do for the final touches! 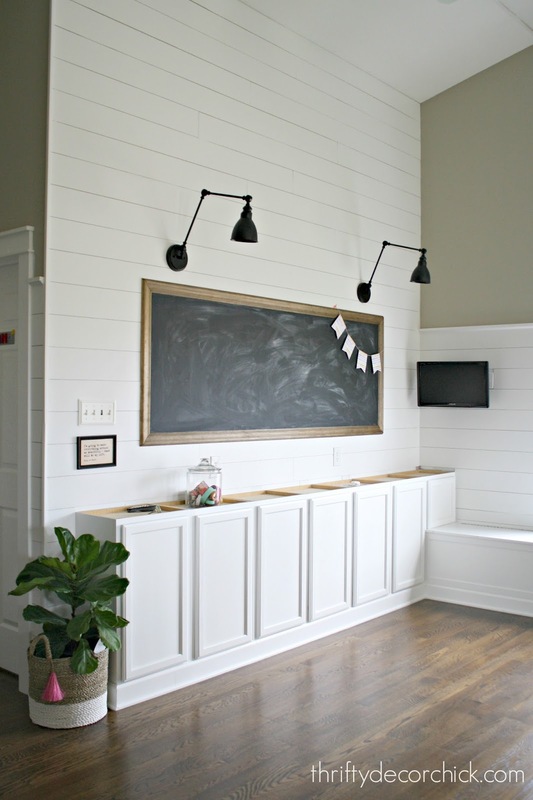 Love the chalkboard and how it really changed the look of the room! It's looking so great Sarah!! This looks AMAZING! You guys are going to get so much use out of this awesome space. I have loved watching this project, thank you for sharing as you go! I love how light this area is. You are doing a beautiful job pulling this space together. I'm anxious to see the final picture! Is there anything you can't do girl? Guess maybe if I re-season our one and only chalkboard we made last year we might use it more, duh! Used an old frame and hubs put shelf on bottom for eraser and chalks. I absolutely love it! It looks great in the loft area. This room will be perfect when its done! I absolutely adore it!! O man this room is looking awesome, can I move in?